Imagine the biggest summer blockbuster, jam-packed with the most explosions, gunplay and violence possible. Then replace all that with radical displays of kindness, empathy and tolerance, and you have Won’t You Be My Neighbor? Won’t You Be My Neighbor? opens at the Manor Theater in Squirrel Hill on June 8, and goes wider after that. There’s a special screening (free if you wear your favorite sweater) with David Newell (Mr. McFeely) at the Hollywood Theater in Dormont on June 5. Be prepared to cry a little. Or a whole lot of big, manly tears, if necessary. Mister Rogers would never judge you. Sure, it might affect us a little more here in Pittsburgh, longtime home to the world’s greatest neighbor, Mister Fred Rogers. But the documentary aims unerringly at the heart, even if you grew up elsewhere watching Captain Kangaroo or Pokemon instead. Be prepared, as well, for a compelling look at a Pittsburgher who impacted and perhaps even shaped the lives of generations of Americans. Filmmaker Morgan Neville — an Oscar-winner for Best Documentary (“20 Feet From Stardom”) — didn’t go looking to make a movie about the star of Mister Rogers’ Neighborhood. So he started watching videos of Fred Rogers. Luckily, there are lots and lots of them. Fred Rogers greeting a delighted young fan. Image courtesy of Focus Features. As a young man, Rogers pondered entering the seminary. His turn towards television shocked his parents. Rogers took children — their fears, conflicts, feelings — seriously, and approached them with the gravity that they deserved. It was a rebuke to the vast majority of children’s television that came before, summarized in the film as a series of hosts repeatedly splattered in the face with pies. Childhood issues weren’t something he took lightly. He took five years to think about how to present the subject of divorce to his young audience, says Newell, who played Mr. McFeely. When he learned that many children were terrified of “The Wizard of Oz,” he invited the Wicked Witch of the West onto the show. He helped children deal with death delicately and gracefully. Although the documentary brings back a bygone era, you can feel its relevance: Much of Mister Rogers’ Neighborhood seems as applicable to the problems today as it did in the early ‘70s. “It was both ahead of its time, and out of time,” says Neville. There’s one episode where King Friday rages against too many things changing and vows to build a wall around the Neighborhood of Make-Believe, for instance. 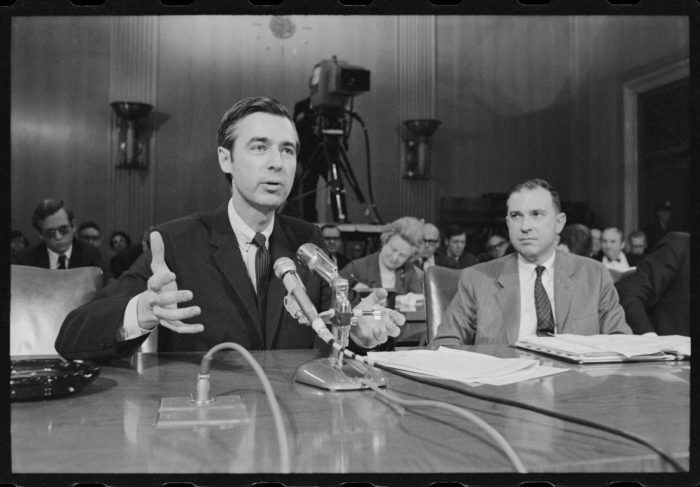 Fred Rogers speaking before Congress. Image courtesy of Focus Features. Though Rogers’ benevolent demeanor rarely wavered, there were moments where his steely tenacity peeked through. When defending public television before Congress, in particular, Rogers showed the kind of grit that Pittsburghers usually associate with linebackers and defensemen. He was also pretty critical of television in general. 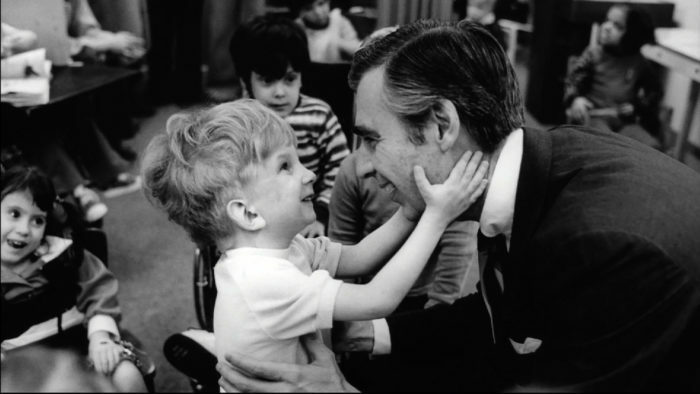 The post “Won’t You Be My Neighbor?” documentary, opening soon, shows the man behind the cardigan appeared first on NEXTpittsburgh.